As a Mahāyāna Buddhist, I have a particular fondness for Guanshiyin, the Buddhist Goddess of Compassion & Mercy, aka Guanyin, Kwan Yin, etc. 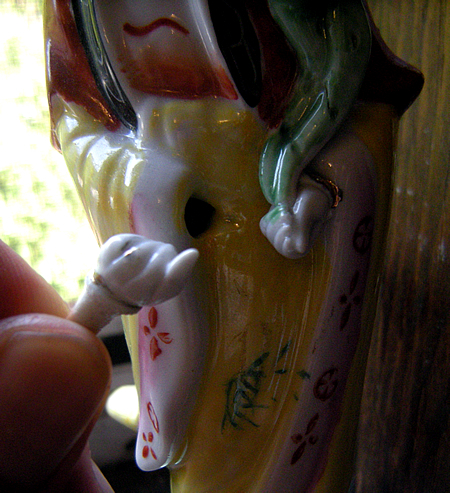 Consequently, when I'm out shopping or browsing online auctions sites, one of the items I often look for are porcelain Kwan Yin statues, and nearly every single time I have found one in a shop, it was missing a hand, and instead of a hand, there was a hole where Kwan Yin's hand should be. Even online I have seen a few where Guanyin has a missing hand. At the time, this perplexed me and I incorrectly assumed that the statue was broken, therefore did not purchase it. In retrospect, perhaps I should have bought it anyway, and so today I ended up buying a porcelain Kwan Yin statue with a missing hand.. I visited a local auction today and among the items I purchased was this white porcelain Kwan Yin statue, painted with gold gilt decoration and it is for this reason that I am writing this post, because the porcelain Kwan Yin statue is missing a hand, unlike the new ceramic Kwan Yin statue I purchased last week from a local Chinese gift shop, and although that one does not have a missing hand, it is detachable, so I wondered why does Kwan Yin's hand come off like that. I did a little bit of research and learned, according to Chinese tradition, Kwan Yin will literally "lend a hand" to those in dire need, which is why the statue's hand is removable. .In another version, the owner of the statue would pray to Kwan Yin and make a request for healing, etc and would then carry Kwan Yin's hand until the prayer is granted and then return the hand back to the Goddess of Compassion. In yet another version, Kwan Yin's hand is removed and hidden somewhere in the home and as long as Kwan Yin looked for her hand there would be good luck in the home, so clearly it's not unusual to see a porcelain Kwan Yin statue with a missing hand. Some of the small white ceramic statues of the white robed Kwan Yin have a detachable hand that can be pulled out of the sleeve of her robe. The belief is that when you want something, you petition Kwan Yin. Then you take the small white hand and hide it somewhere in your house. Kwan Yin, presumably, is so distressed at losing her hand that she will grant you your wish. Then when your desire has been granted, you find the little hand and replace it on the statue. Personally, I'd much rather my own porcelain Guanyin statues did not have a missing hand. 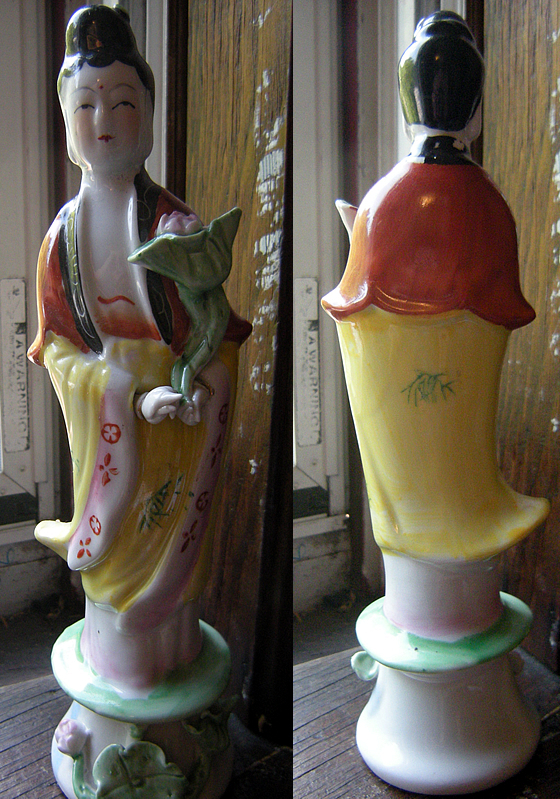 Regardless of the fact that my newly purchased ceramic Kwan Yin statue is missing a hand, I like it very much, however, I am perplexed by the maker's mark since it is not one I am familiar with and I am very doubtful that it belongs to a Chinese maker or artist since I have never seen a Chinese maker's mark that has a crown. 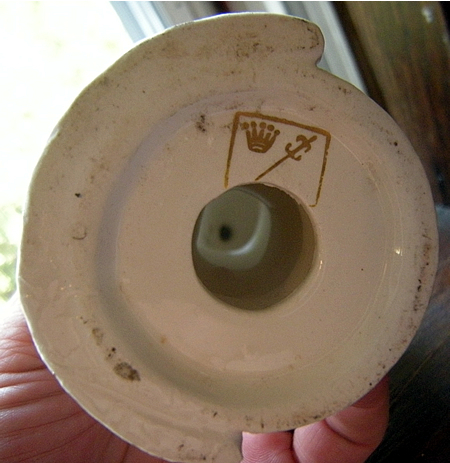 Perhaps it is Japanese since there are many Japanese porcelain marks that contain a crown. If this is Japanese made, then it would more appropriately be a ceramic statue of Kannon or Kanzeon since that is the Japanese name for Kwan Yin. 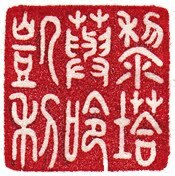 If anyone reading this post is familiar with this crown and sword maker's mark on my statue, please let me know. I have one also but the lady that sold it to me told me is for love so when you finally have found the one, you place the hand back on her and glue it. 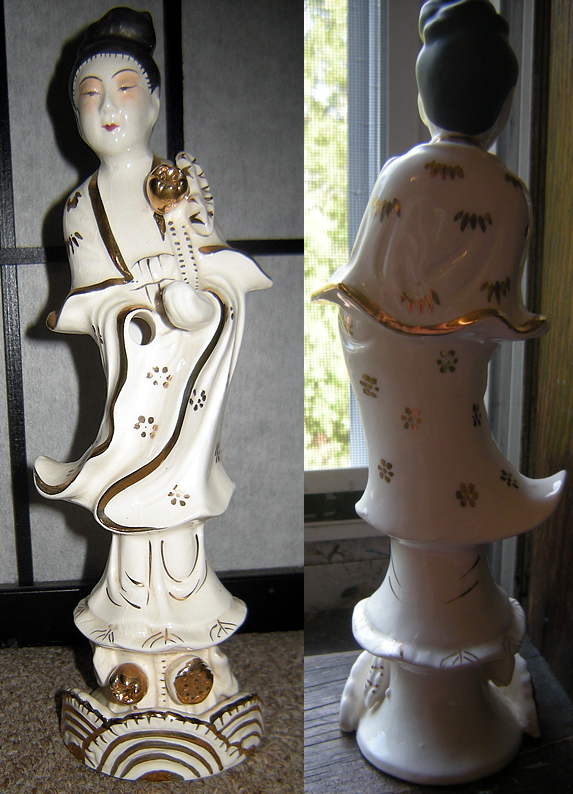 My grandmother gave me my porcelain Kwan Yin when I was a child. I've no idea what I wished for, but the hand may be forever gone as it's decades later and she's moved around with me. I still love her and wish I could someone find a replacement hand for her. I have one of the statues intact, actually I will be posting it on ebay shortly, moving and I have to shed down some items and would probably be destroyed in the move with my luck. Very nice piece though, was given to me by my grandparent who purchased in the 50's while in Japan. Did you put it for sale yet? Damien: Did you put the godess statue for sale yet? can you give us the link? thank so much.